Arla Foods is set to gain full control of an ingredients joint venture formed in 2001 with Argentinian dairy cooperative SanCor as the Denmark-based company seeks to expand its presence in South America. 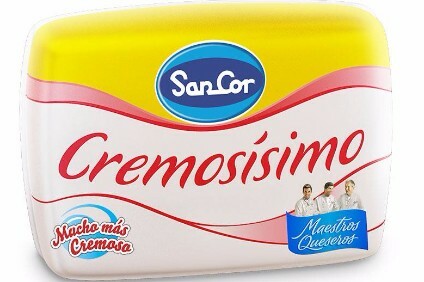 SanCor will sell its 50% holding in Arla Foods Ingredients SA (AFISA) to the European dairy giant for an undisclosed sum as part of its restructuring, according to a statement today (9 February). Plans to offload the stake were first revealed last month as part of SanCor's efforts to reduce debt and reorganise the business. Since 2016, the company has sold some of its assets, such as part of its yogurts and desserts operations to Argentina's Vicentín. Sources told just-food on 12 January that the transaction could amount to US$33m. The Arla Foods' subsidiary produces whey-based ingredients used in products such as infant nutrition, baking, dairy, medical applications and sports nutrition. AFISA processes around 900m kilos of whey annually at its site in the Argentinian province of Cordoba, making it the largest whey processor in Argentina and the South American trade bloc known as Mercosur. Henrik Andersen, senior vice president for Arla Foods Ingredients, said: "SanCor and Arla Foods Ingredients have agreed amicably that it is now time to move forward with our businesses separately. "For Arla Foods Ingredients this is a unique opportunity for continued strategic growth in our whey business in general and specifically in South America; and AFISA will become a significant element in Arla Foods Ingredients' global supply chain." Despite Arla's South American expansion plans, it sold its 8% stake in Brazil's Vigor Alimentos in November, saying the venture "no longer serves our strategic purpose''.